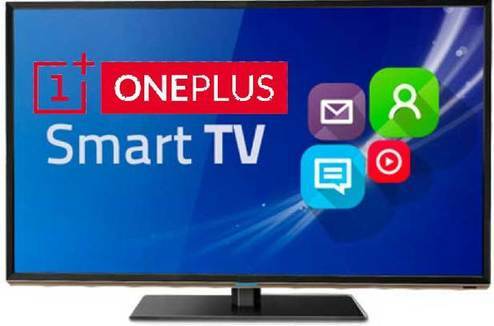 After covering the smartphone market in India OnePlus going to enter the smart tv market in India soon. The tagline "Never Settle " got success in with its product of smartphone in India so far. Recently, the OnePlus CEO Mr Pete Lau pointed in his blog toward entering in the smart tv market. He declared that it will be launched in India till the end of this year. The experts are saying that the price of OnePlus smart tv will be reasonable and affordable. In term of features, it will have upper hand in the race. According to Mr Pete Lau, the company want to present a traditional tv in a different style. It will not be only a TV but a gadget that will give "Total connected user experience" it will make user life easier. It will be the combination of high-quality hardware and latest technology. Although the company has not discussed all its feature experts are saying that there will feature of artificial intelligence in it. According to the OnePlus after launching the product they will provide step by step updates for it. The company claims that the user will feel such experience as not been felt by users. This smart TV will be well connected to PlusOne gadgets. To make it better they are inviting online suggestions from peoples. October 17, 2018, is the last date to suggest a name. A result will be declared before 17 December 2018. What About Your Social Media Account If You Die Suddenly? Yeah! 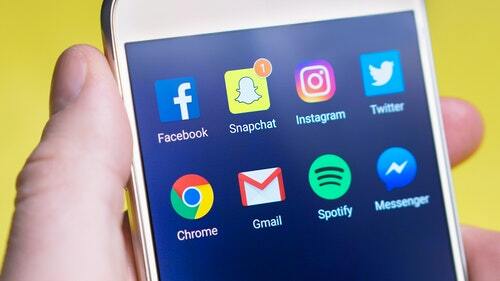 I know it sounds a strange thing to say that what will happen about your social media and other accounts in case you face sudden death. Actually, all your social media, email and other accounts are also considered as property so as per respective company’s policy you can set any family member to handle account after the death. Each and every company have different kind of policy to hand over the account right to any other nominated person. Most of the company doesn’t share login detail. Recently, there was news belonging to China that a toddler locked iPhone just entering the wrong PIN again and again. As result, it got locked for 48 years! She went to the Apple store but the company did not provide any login data. They gave the option to wipe and restore a backup file or wait for 48 years. The phone was of her husband who passed away without sharing the password to her. There were all her old photographs, important notes and documents those she didn’t want to lose. She is still figuring out a way to get her iPhone back to normal without losing her pictures and contacts. Perhaps, you may laugh after going through this story but we should take it seriously. This can happen with us or our family member. The service provider never compromises with its security. The search engine giant Google can do three things for you. First - Close the account of a deceased user. Second - Accept request for funds from a deceased user's account and third – provide data from a deceased user's account. From this link, you can submit a request regarding a deceased user’s account. Microsoft has a next-of-kin process, which can provide representatives with a deceased person’s data. For that, you can send an email to msrecord@microsoft.com. If your beloved one is on the LinkedIn than you can demand here to remove profile by providing some information like member name, LinkedIn profile URL, email address, relationship, date passed away etc. It’s better to set any nominee behind us to remove our data securely otherwise wrong hand may misuse it and lead to any serious problem to your beloved one. It is said precaution is better than cure. one that money can buy. 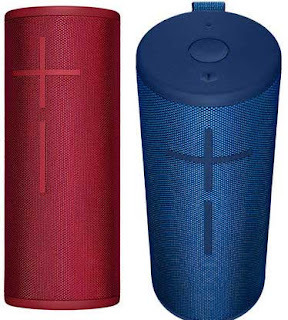 We have an option for you in this article we're going to discuss the top five best Bluetooth speakers in the market today. 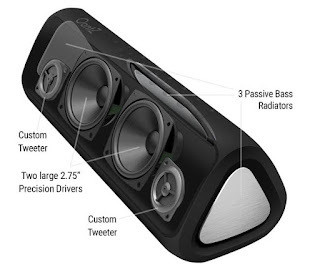 The Oontz looks and feels cheaper than any other speaker on this list and that's because it is at such a low price it puts out the acceptable sound and gets 30 hours of battery life. This will fit in a car cup holder so it's easy to tote along on trips to your friend's cabin or down the street to the community pool. Additionally battery life is excellent. It's rated at up to 30 hours at moderate volume levels and the speaker is water-resistant so you can take it in the shower. A built-in microphone means you can use it as a speakerphone the speaker which can be stood up vertically or laid down horizontally, isn't going to win any design awards but it's functionally attractive. What's impressive about is that it manages to play pretty loudly with decent clarity and strong bass performance for its size. Sound wise it's in the same league as speakers like the JBL Flip. For overall consider it as a budget option and a good secondary speaker or backup. 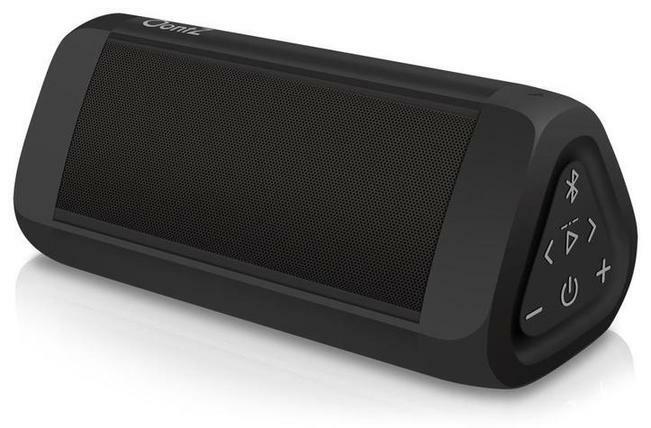 JBL's boom box has comically huge for a Bluetooth speaker but thinks of it as the modern equivalent of a 1980s boombox complete with a handle and some intense bass. Breakdancers from back then would have killed for a speaker that was completely waterproof and had 24 hours of battery life. The Boombox can also connect to multiple smartphones at a time so you don't have to DJ by your lonesome with a 20,000 milliamp hours battery onboard it can also charge your gadgets for days. The boombox follows JBL's basic design principles in using fabric and plastic to fashion a water-resistant speaker that looks like an extra-large version of everything else the company has launched .it’s a heavy 11.6 pounds cylinder held together by a sturdy handle so we weren't resting this on our shoulders keeping it simple there are a few buttons on the front power, Bluetooth, volume up/down and play/pause. The latter two are linked to the mobile devices controls so there is no separate volume control when paired with the boombox lacking track skipping buttons we had to double tap play-pause to move forward a track the connect plus button is for pairing with other JBL speakers in stereo. 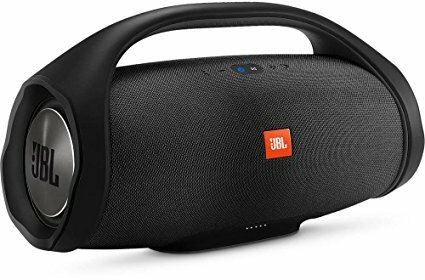 Overall the JBL boombox as a monstrous portable speaker that not only gets loud but stays pretty crisp when pumping the volume it's heavy and not the easiest thing to carry around but it's rugged enough to handle any pool or tailgate party. The boom bottle h2o plus a sturdy and durable. It has an ip67 waterproof and dustproof rating so you can drop it get it dirty and then dunk it in water to wash it off. Great for the beach biking on dusty trails lounging poolside boating and more. Don't worry about dropping boom bottle in the pool lake or river because it floats for easy retrieval. 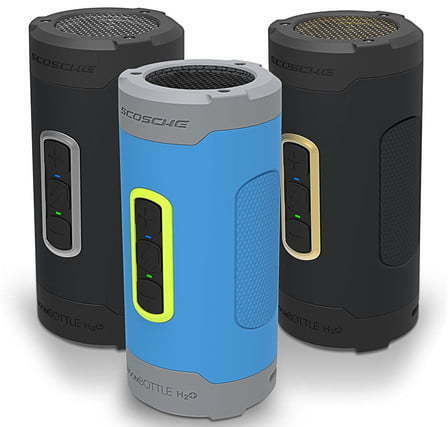 The boom bottle H2O plus speaker from SCOSCHE as a Bluetooth wireless speaker with a line and for non-Bluetooth devices. Its IP67 rating means it's dust and waterproof and it's ruggedized exterior means it can survive drops and impacts. Not only as the boom bottle h2o plus waterproof it's unique design allows it to float on water it even features an integrated 1/4 of an inch thread for attaching it to compatible mounting systems and a carabiner for clipping it onto your bag. The boom bottle H2O + lipo battery provides up to 11 hours of playback on a single charge. When it's time to recharge the included micro-USB charging cable features a reversible connector so you don't have to worry about the proper way to connect the cable to the boom bottle. Like the other boom bottle series speakers, the boom bottle H2O plus offers the multi-directional sound which is a big part of the reason behind its cylindrical shape the speaker features a 12-watt amp powering an upward firing 50 M driver and the passive subwoofer. Waterproof speakers often sound slightly muffled due to how tightly sealed they need to be and that may be the case here. Looking at battery life, the boom bottle H2O + claims up to 11 hours of playback time though this will vary based on listening volume. The speaker features an LED indicator so users can easily check the battery level before grabbing the speaker for the day. Like most portable Bluetooth speakers this model charges via microUSB and as a bonus it comes with a patent-pending ezt IP microUSB cable which uses a reversible connector meaning users don't have to worry about plugging it in the wrong way. You'll be hard-pressed to find a beer concise speaker that sounds as clear and deep-throated as the revolve. Thanks to an omnidirectional acoustic deflector. It also shoots its sound out perfectly in all directions. The controls are easy to use with verbal audio cues and simple Bluetooth pairing and the 12-hour battery life is long enough to make it through any party. Don't let its size fool you this pint-sized enclosure is packed with more technology than meets the eye. A highly efficient transducer dual passive radiators an omnidirectional acoustic deflector all of which simply means you'll get lifelike sound and real-life goosebumps. Don't have your phone handy? don't worry you can still make dinner reservations or send a text message just press and hold the multifunction button to access the voice input for your phone Siri or your Google assistant right from the speaker problem solved. The Bose Connect app gives you easy access to everything your product has to offer. Get tips to unlock, product features and personalize your settings so you can spend more time enjoying the music instead of setting it up. You can also easily manage your speaker's Bluetooth connections with one single swipe so everyone can have a turn being the DJ and when loud just isn't loud enough turn it up with party mode to play two wireless speakers simultaneously or switch to stereo mode for dedicated left and right playback giving you a full and dynamic surround sound experience. 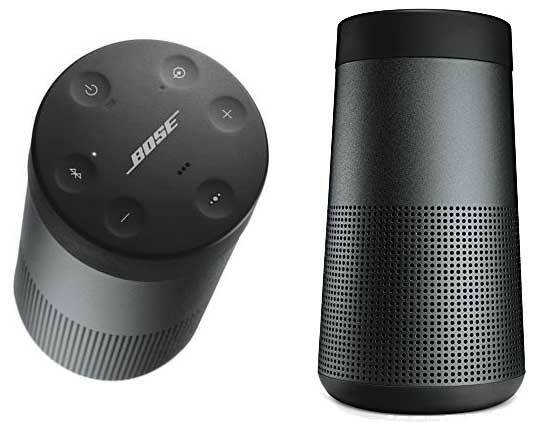 All in all the Bose Soundlink revolve is an excellent choice for those looking for a true 360-degree listening experience. Yes, it's expensive but it sounds great the biggest issue is that the revolve lacks dust and waterproofing which means that it's not the speaker you want to take with you to the beach. So these were best choices to blast with music at the beach, dance floor, community areas or parties. Prices are not mentioned as they are no fixed all the time since its launch, so , I request you to go through their official websites as well as various shopping portals. The latest upcoming phone Xiaomi Redmi note 6 pro global version listed on the ecommerce website Ali Express just before launch. It is the successor to the Redmi Note 5 Pro. The features of this phone have been revealed by shopping platform Ali Express. The disappointing thing is that the website not shipping it to India till this moment when I am posting this article. It is packed with Snapdragon 636 Octa Core processor. It has 3 GB of RAM and 32 GB internal storage. The display size is 6.26" with notch 19:9 aspect ratio FHD+ Samsung AMOLED screen with 2160x1080 resolutions. The company has given dual camera 20+2 MP front camera with selfie flash LED and 12+5 MP rear camera. Definitely, the selfie lovers will not be disappointed after making a purchase. As far as the battery concern, it is pretty good, 4000mAh enough to handle large display throughout the day. 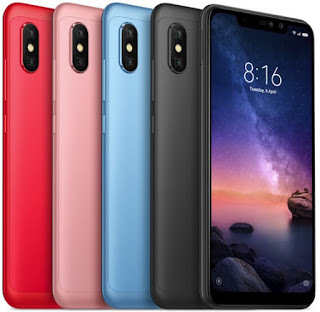 For the SIM card slot, the company has continued the same thing what they did for Redmi note 3, 4,5 and other versions, a hybrid slot is given, the user has to compromise with either memory card or SIM card. The device runs on Android Oreo with MIUI 9. Currently, it is available in the four colours - Black, Blue, Rose Gold, and Red. Previously, it was said that the Redmi Note 6 Pro will come with a Snapdragon 636 SoC and have a superior variant with 4GB RAM and 64GB storage. Regarding the launch in India, no official statement is found yet. The price of this phone is ranging from the US $193.99 to 218.99 / piece on Ali Express. With the most web browser, the user requires to use extra add-ons to avoid being tracked online. There is a special type of web explorer that comes with this kind of functionalities. The “Epic” is the web browser that keeps you secure and private by blocking all trackers, third-party cookies and ads; redirecting your searches through a proxy server so no one can know what kind of websites you are surfing. This web browser uses an encrypted connection (where possible) when user visit website and also clean history, cookies and all browsing data at the end of each session. The excellent piece of option which I like most is hiding IP address with a single click only. Nobody knows from where your browser coming from. It is similar to the incognito mode found in other web browsers like Chrome, Internet Explorer, Opera or Firefox. You don’t need to switch it manually cause by default it is on. It means always on private browsing. As per the report of Epic around 80% websites monitors and access all your browsing data. They keep monitoring what websites and what time those are being surfed by you. Later the related company sells data or use it to show you targeted ads. The Epic blocks such trackers or third-party elements those perform such task. I have personally tested, while visiting certain blogs and websites it removed elements like share buttons as it traces user behaviour of surfing. That is a really helpful option to be secure while surfing the websites. A dedicated button with down arrow symbol found in the right top corner, the below close button that can be used to download audio or videos from the websites like YouTube, Vimeo, Soundcloud, Facebook and many others. It always gives first preference to “HTTPS” if it is available. So that data may through the encrypted channel. All other browsers will not attempt. If the website owner has set redirection to https then that will lead to https connection otherwise unsecured connection is viewed by the users. There is a red button available in the address bar by pressing it will enable epic’s built-in proxy. This hides the user IP address (with a U.S -based IP) and encrypts all the data when the user wants to be very private. Epic automatically loads search engines via its built-in proxy because search engines track user by it’s IP address. Generally, search engine traces using the IP address of the user but this will prevent search engine to trace IP address. If you are not able to view pages properly due to the restriction of Epic then you can modify those setting manually as per your requirement so that you can view a proper page with content. You just need to press a small “umbrella” symbol a short menu will appear where you can set show/hide plug-in, data, tracker etc. The only limitation for Epic is that there are only limited numbers of add-ons available. Perhaps its dull design may not attract you but it has powerful functionalities. In term of speed, it is faster compared to other browsers. In short, I will say that it’s powerful features keep you secure and private from the tracking methods like cookies, IP address, HTML 5 storage, Evercookies, Flash cookies and Fingerprinting. Just install at least once you will feel the different experience. All Xiaomi smartphone comes with MIUI interface. Due to the availability of customization this more popular among the Xiaomi smartphone lovers. But still, the certain group of people doesn’t like it cause it comes with the advertisement in its stock app. If you are tired facing these advertisements every used stock apps then the tip shared here may be helpful to you. What product you have surfed for its stores and according to the served ad to the user. Sometimes this is an annoying thing that appears while opening an app. After following the path given below will block the advertisement completely. Setting - - > additional setting -- > Privacy -- > ad services . You will find “Personalized Ad Recommendation” disable it. How to disable ad of the specific app. To disable the ad appearing for the specific app go to its setting option and disable “receive recommendation” option. In some app, this option is not available in that case if it is workable offline you can turn off data connection for that app. This will not show you an advertisement. You may not find the above option if the app is not updated. Go to Settings -- > Advanced Settings -- >Receive recommendations. Disable it. The above path is can be followed in Redmi note 3. For other models, there will be the slight difference in the path. Launch Security -- > settings -- > Cleaner -- > Receive recommendations - Turn it OFF! 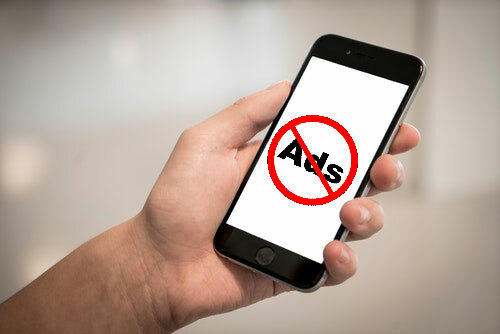 This will stop to launch ads in the cleaner app. Or you can go with some third-party app available to download on the Google Play store. This company sell its handset on low-profit margin compare to other smartphone makers. In short, to earn some profit it promotes advertisement with its stock apps like browser, security or file manager. The only good thing about it is that the company has given the option to disable it.